Kosovo, located in the Western Balkans, is a multiethnic country with a rich, diverse, and unique culture interweaving the best of the Eastern and the Mediterranean worlds. A trip to Kosovo nowadays would convince anyone that this country, has indeed a lot to offer. Kosovo is located in the heart of Balkans, and it borders with Albania, Macedonia, Montenegro, and Serbia. 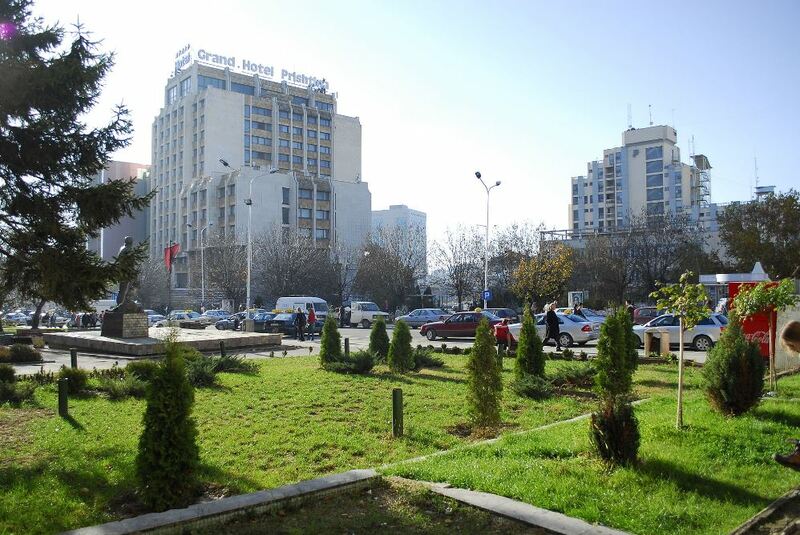 The capital and largest city is Pristina. 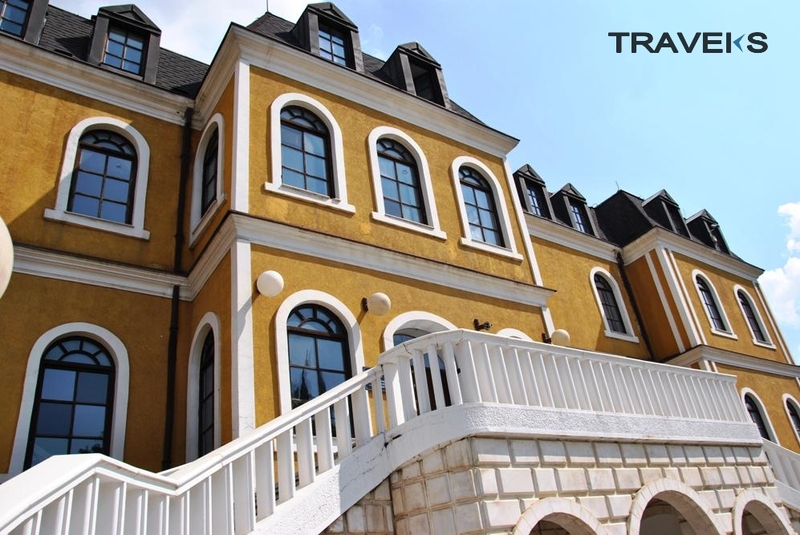 At the Airport youwill be welcomed by our staff, and will meet with your guide, after a travel by mini-bus 18 Km for 25 min you will be in hotel, then you will make a check in to hotel for a two night stay in Pristina where you will have a welcome dinner. Travelling in the city starts after breakfast in hotel in Pristina, with visiting Cathedral “Mother Teresa”, after that you will visit “Statue of Mother Teresa”, “ Statue of Skanderbeg “,” Bazaar Mosque “,” Clock Tower“, ”Kosovo Museum” and “Ethnological Museum “ and about 13:00 o`clock you will have lunch , after lunch you will travel 25 Km from Pristina to Gadime by mini-bus for 30 min, after arrival in Gadime you will visit the Gadime cave.Then you will be back in Pristina, will have dinner after that you will turn back to hotel . Statue of Gjergj Kastrioti – Skanderbeg : He was Albanian feudal 15th century who fought to protect the country from the Ottoman Empire for more than two decades, history records that the 15th century Albanian national hero, Skanderbeg had raised the red flag with the black eagle over his ancestral home, the Fortress of Kruja. Kosovo Museum : This Austro-Hungarian building, was originally built for the regional administration of Kosovo. From 1945 until 1975, this served as headquarters for the Yugoslav People’s Army. In 1963, it was sold to the Museum of Kosovo, while from 1999 to 2002, was the main office of the European Agency for Reconstruction. Kosovo Museum has an extensive collection of archaeological and ethnological artifacts. In 1998 (during the war), more than 1,247 artifacts were stolen from serbs and sent in Belgrade. 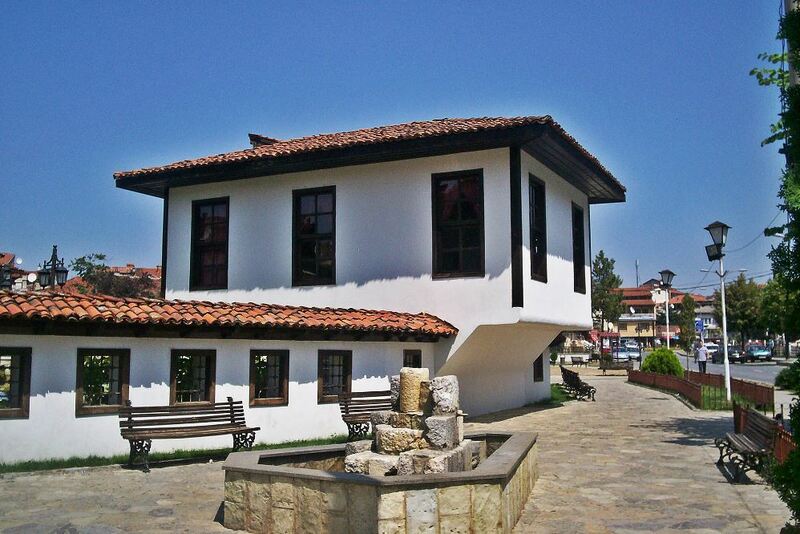 Ethnological Museum- is part of the Kosovo Museum. This museum was opened on 27 July 2006, respectively, to the public in September 2006. The exhibition is built around four themes that represent the cycle of life: birth, life, death, intangible. Bazaar mosque – is the city’s oldest building , its built in the 15th century by Sultan Bayezid to commemorate the victory of the Ottomans in year 1389. Clock Tower – This clock tower was built in the nineteenth century original bell was brought from Moldova and carrying the inscription : “This bell was made in 1764 from Jon Moldova Rumen”. In 2001, the original bell was stolen. In the same year, the bodies of French KFOR have changed the old clock mechanism with an electric mechanism. Gadime cave: is one of the most visited attractions in Kosovo. The cave has been discovered recently, in 1969 when one of the habitant families ran into the channel leading to the cave, while trying to build the foundation for their new house. Five years after its discovery, it became open for visitors. Stalagmites, Stalactites and Aragonites are rare characteristics of the cave. Around 1500 m have been investigated so far, while 800 m of its space may be visited. After breakfast in the hotel in Pristina, you will travel 60 Km by mini-bus from Pristina to Prekaz for 1h. After arrival in Prekaz you will visit Adem Jashari Memorial, then you will travel 40 Km by mini-bus from Prekaz to Mirusha for 1h. After arrival in Mirusha you will visit the Mirusha waterfalls, then you will travel 35 Km from Mirusha to Peja for 45 min. After arrival in Peja about 13:00 o`clock you will have lunch, after lunch continues the journey where you will visit Patriarchate Monastery, then Tower of Haxhi Zeka ,the Tower of Jashar Pasha, Mosque of Bajrakli, and the The Old Long Bazaar Street. Travelling around the city ends with The Old Long Bazaar Street ,then you will make a check in for one night stay in hotel in Peja, after that you will have dinner. In the morning of day 4 after breakfast in hotel in Peja you will travel 20 Km from Peja to Boga ( Rugova Gorge) for 40 min. During the transcription of this winding road you will enchanted by the natural beauty of this region. Is worth to mention the Rugova Gorge, with length of about 10 km , is one of the deepest canyons in the country and Europe. You also will marvel with magnificent rocks and waterfalls that emanates from these rocks and many other beautiful things. After arrival in Boga you will make a check in for one night stay in hotel, than visit the mountainous village. Adem Jashari Memorial: is one of the most significant war reflection sites for Kosovo and its inhabitants. Located in Prekaz – the village where the Jashari family homes are situated; this town is recognized as the catalyst for the up-rising of the Kosovar Albanians in Kosovo against the Serbian repression. Mirusha Waterfalls : are a series of waterfalls found in the Mirusha River, a tributary of the White Drin, in Kosovo. 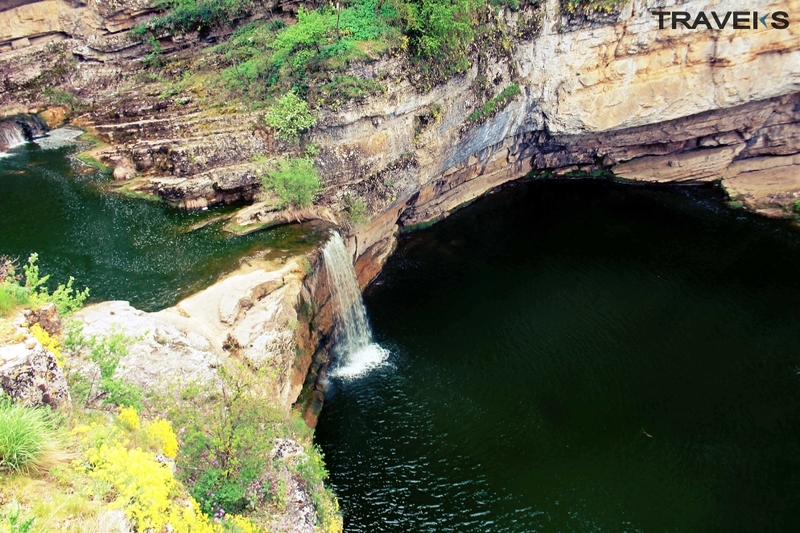 The waterfalls have, over time, created canyons and caves, which are famous throughout Kosovo. 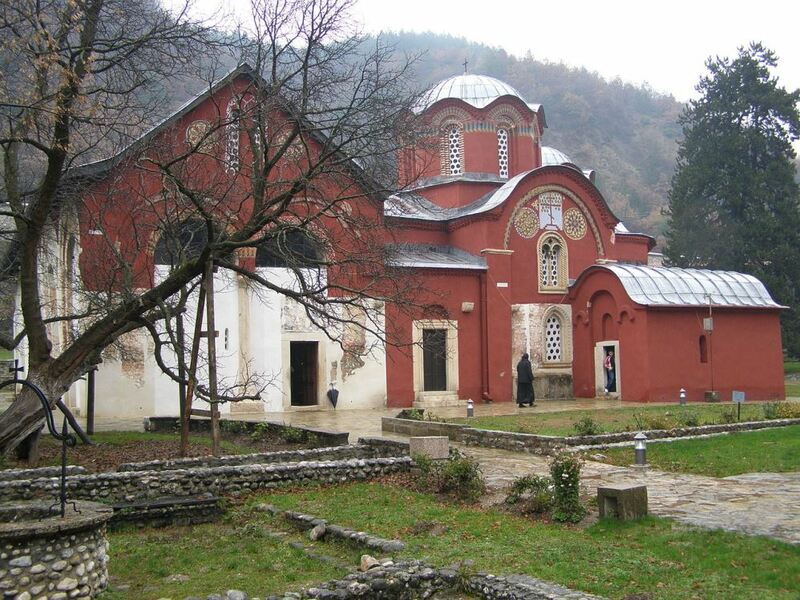 Patriarchate Monastery:is a complex of monasteries, which is located in the town of Peja along the road towards the Rugova Gorge. Nowadays this complex belongs to the Orthodox-Christian religious believers. 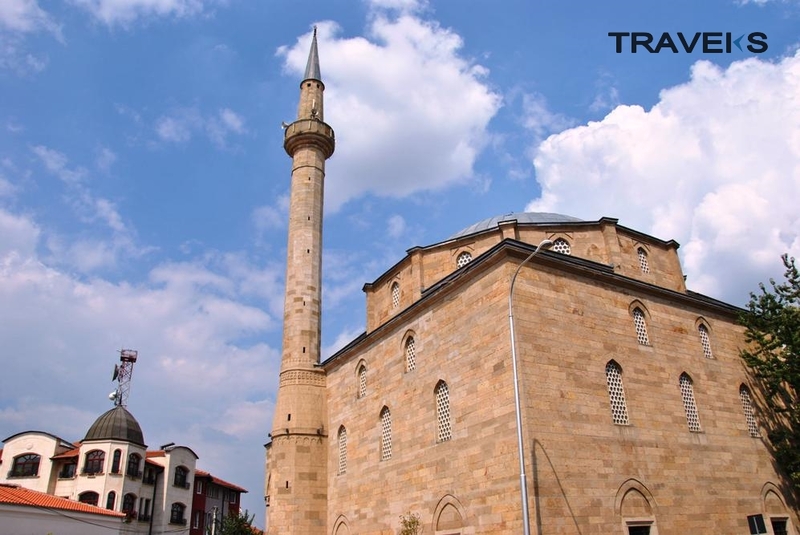 Bajrakli Mosque :is one of the most important architectonic and sacred buildings from the period of the Ottoman Empire, it is constructed at the second half of the XV century. It’s a one-level structure finished with a cupola on top and land and graves around. Tower of Gockaj:The towers are a proof of the special architecture used in construction and also the expertise of the local population in craving stones. The tower should be seen from inside as well especially the living and guests’ room with a unique chimney, shelves, window cases and with a selling all wrapped with wood and handcrafted with a lot of expertise. The Old Long Bazaar Street – Very interesting and attractive site for visiting this is a typical oriental architecture. There one can still find the different original artisan shops such as the Albanian Plis (cap-makers), the gown-makers, the sixhade (carpet) makers, shoemakers, watchmakers, the authentic goldsmiths etc. The most preserved part of the “Çarshia e Gjate” is the part called “Rrethishtja” (circle) in the middle of which there is an old fountain. 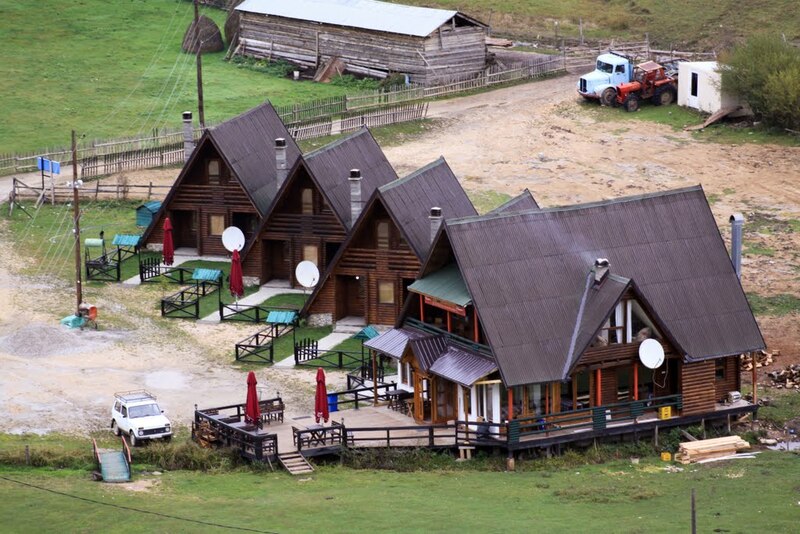 Boga: is a small mountainous village and also a holiday resort village in western Kosovo. Boga is located in the Albanian Alps range on an altitude of about 1,300m – 1,400m. Nearby the village is located the peak of Hajla at 2,403m and the Bistrica Peja which has its source not far from the village. The village is nestled in by surrounding mountains many of which are picturesque. After breakfast in the hotel in Boga you will travel 40 km by mini-bus from Boga to Decan for 1h. In Decan you will visit Tower of Isniq and Decani monastery. Then travel 20 Km from Decan to Gjakova for 30 min. After arrival in Gjakova, you will make a check in for one night stay in hotel. Traveling in the city starts by visiting Tailors Bridge, Hadum Mosque, Ethnographic Museum and about 14:00 o’clock you will have lunch, after lunch continues the journey where you will visit the Baktashi Tekke, Sulejman Vokshi Tower, Gani Mehmet Tower. 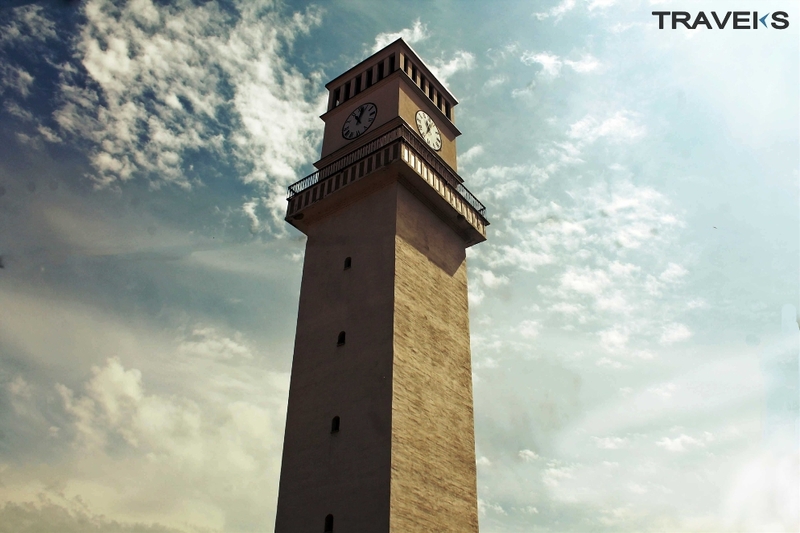 Travelling around the city ends with Gani Mehmet Tower ,then you will have dinner after that you will turn back to hotel. Decani monastery: The Serbian Orthodox monastery Visoki Decani near the town is 36 meters by 24 meters with a tower 29 meters high. It was built between 1327 and 1335 by the medieval king Stefan Uros III , and was dedicated to the Ascension of the Lord. 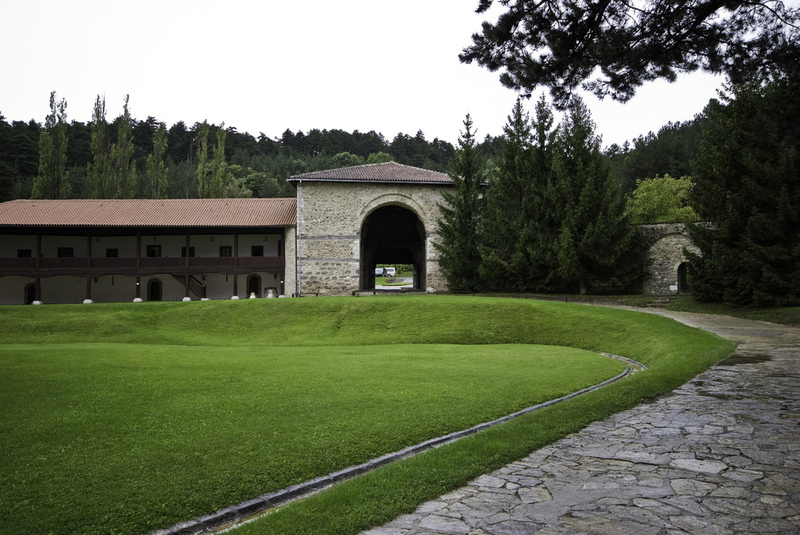 The monastery is situated in the valley of the Decani. 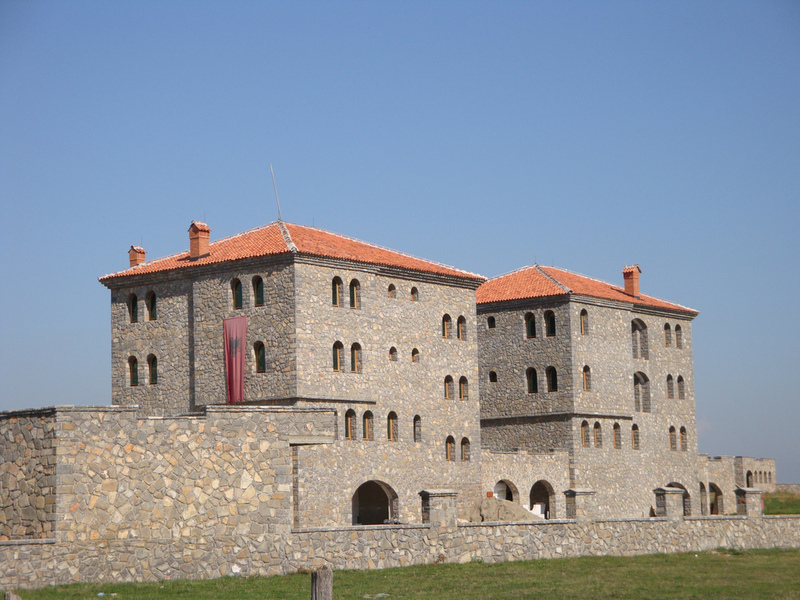 It is regarded as the largest and best preserved medieval monastery in Kosovo. Tailors Bridge- 18th century, a large stone bridge with eleven arches, said to have been built three hundred years ago by the tailors of Gjakova and Prizren, as a very important link for more strategic trade route known as Egnatia (road built by the Romans in the 2nd century BC). Hadum Mosque- is a sacral object. The facility was built during the reign of the Ottomans Empire, in the last decade of the sixteenth century. 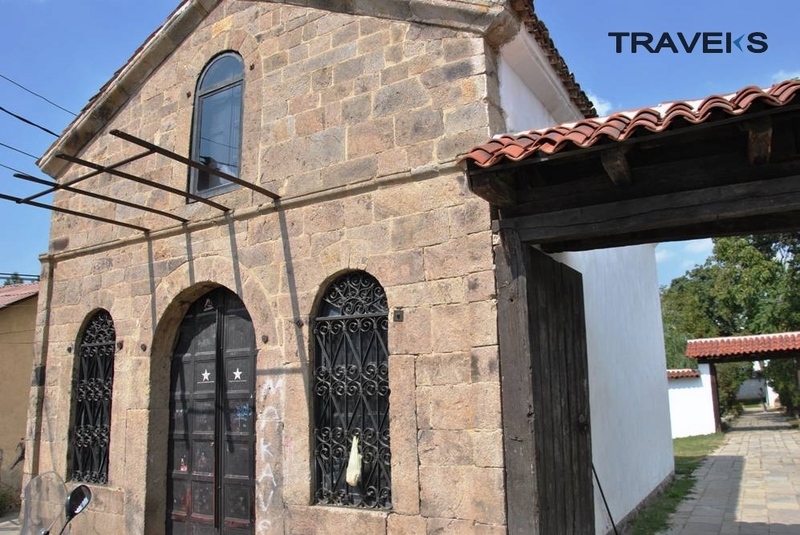 Bektashi Tekke – was built in 1790 at the heart of the Big Bazaar complex in Gjakova. Being the first of its kind, this Tekke represented the Tarikat Bektashi. 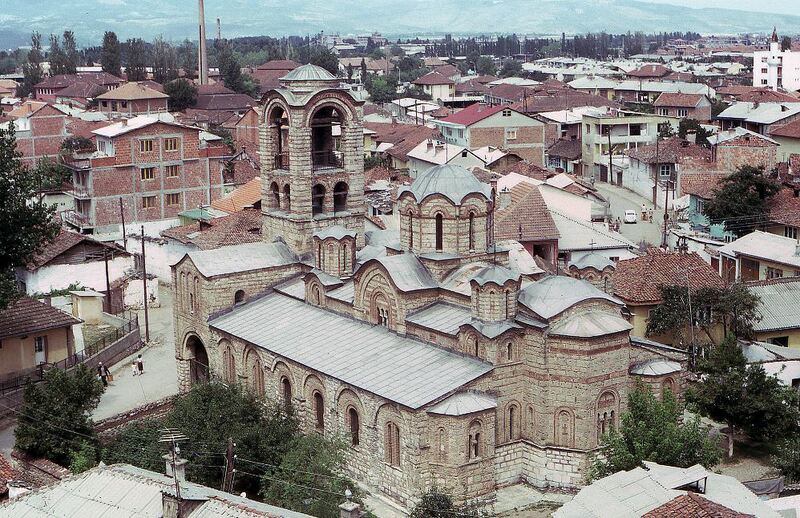 According to the legend, the Tarikat Bekatshi was created by Haxhi Bektash Veliu in Anadolu during the thirteenth century .In Gjakova, the Bektashi Tekke was destroyed by the Serbian military forces during the Kosovo War in 1999. Thousands of books, including 58 manuscripts, were burned, as the whole object was destroyed. 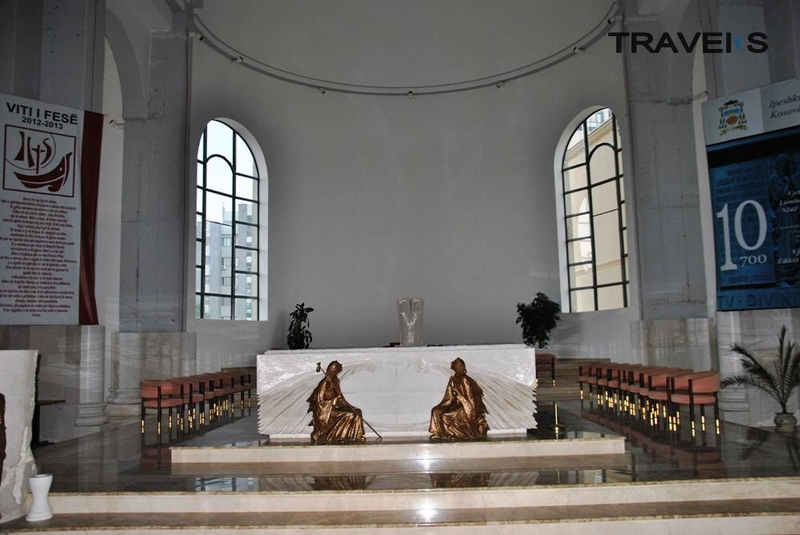 The Bektashi Tekke was reconstructed in 2004–2006 so that believers would be able to perform their spiritual rituals. 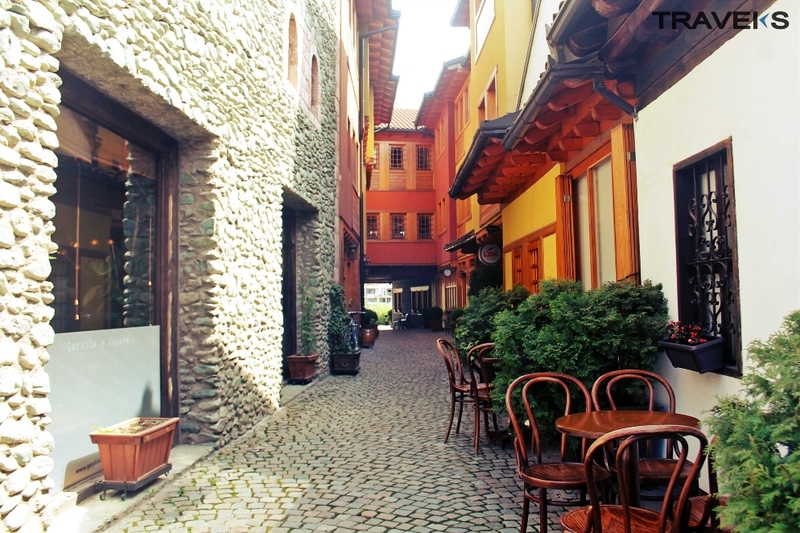 After breakfast in the hotel in Gjakova you will travel 40 km by mini-bus from Gjakova to Prizren for 50 min . After arrival in Prizren , you will make a check in to hotel for a one night stay in Prizren . 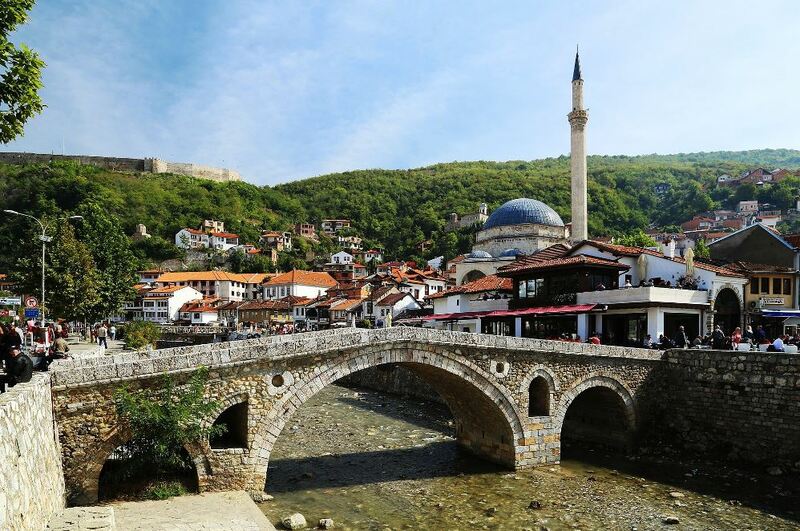 Traveling in the city starts by visiting Stone Bridge ,Gazi Mehmet Pasha Hamam, Sinan Pasha Mosque and about 14:00 o`clock you will have lunch , after lunch continues the journey where you will visit the House Museum, and the Castle of Prizren. Travelling around the city ends with the Castle of Prizren , then you will have dinner after that you will turn back to hotel. Stone Bridge – is located in the old city core, the river divides into two part of the city, Stone Bridge played (and plays) an important role in the development of trade and life. Bridge is with three arches, where the medium arc is the largest, and side arches are smaller and not the same that makes asymmetric bridge. Gazi Mehmet Pasha Hamam – is located downtown near the mosque Kukli-Mehmet Bey, Emin Pasha mosque , built in 1563-74. In main gate is the inscription plates (1833) which shows the date of restoration by brothers Tahi and Mehmed Pasha Rrotulli. Hamam has served as public restroom until 1927/44 and became integral part of social life and proclaims cultural monument in 1954. Sinan Pasha Mosque -is not even old mosque of Prizren, but it is undoubtedly the most beautiful mosque of the city and beyond. Her position makes that dominate in old bazaar square. Is recognized as one of the most beautiful works of Islamic architecture in the Balkans, it dominates the skyline of Prizren and it is identifier symbol. House-Museum of Albanian League- is the historic house where the League of Prizren was held on June 10, 1878, where the Albanian patriots gathered to form a political, military and cultural protection of the Albanian lands against the Ottoman Empire. Castle of Prizren- located in the south-east of the city of Prizren, considered to be the symbol of the city and an important element in the cultural identity of Kosovo. Built high on a hill in a picturesque environment and in an extremely strategic position, the castle rises above the city as well as the deep valley of Lumëbardhit. After breakfast in the hotel in Prizren, you will transfer to the airport for the flight back.